It is a well known fact that majority of kids hate vegetables and greens which are very important for growth and development of body. Junk food is both tasty and easily available which children gobble up in an instant leading to unhealthy weight gain causing them to become obese. 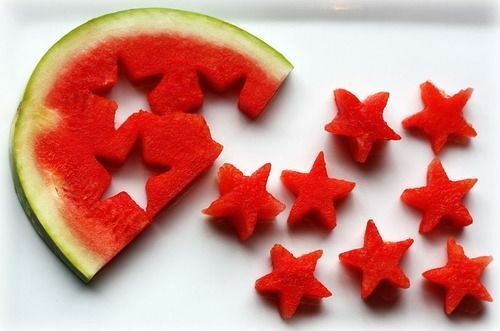 So it is important for parents to explore healthy snack ideas which are presented in a fun way so that kids find it hard to refuse. 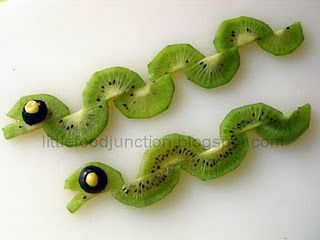 This super simple kiwi snake art is a cool way to make fruits appealing to kids. You can try this snake idea with cucumbers too. This is ideal snack for car lover boys. 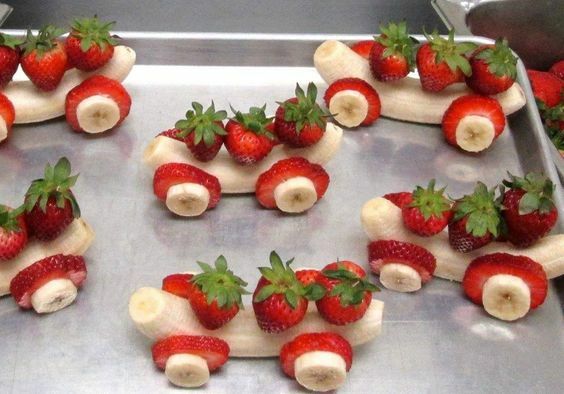 Peel bananas to make body of car and cut strawberry and banana slices to make wheels . Use toothpicks to keep wheels in place. All kids love ice creams but they arent a good idea especially in winters. 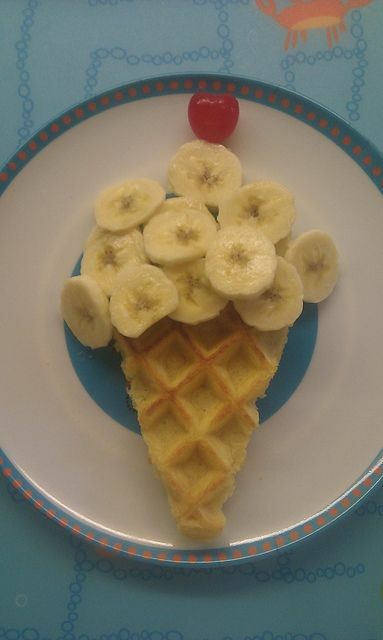 This fruit ice cream idea is nice to get kids eat banana and cherries. Use a wafer like a ice cream cone. 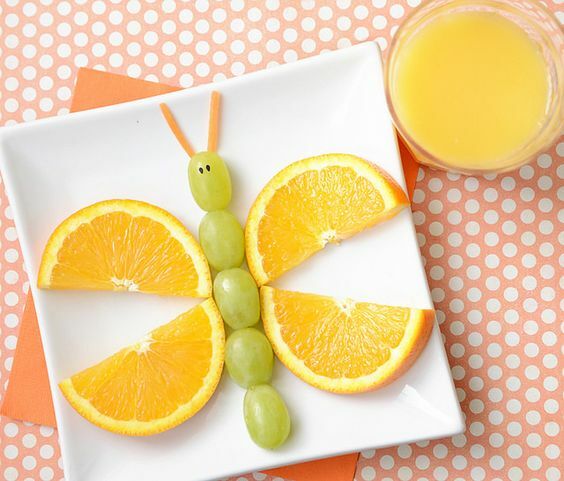 How cute is this butterfly with citrus wings. A tall glass of badam milk with grapes and oranges should make for a healthy snack for your toddler. 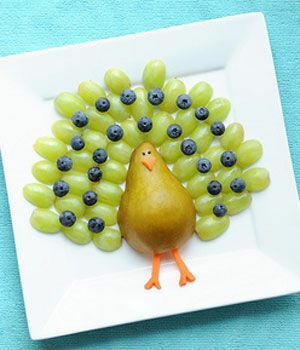 Peackocks are one of the most beautiful birs and this snack idea is both healthy and eye pleasing. 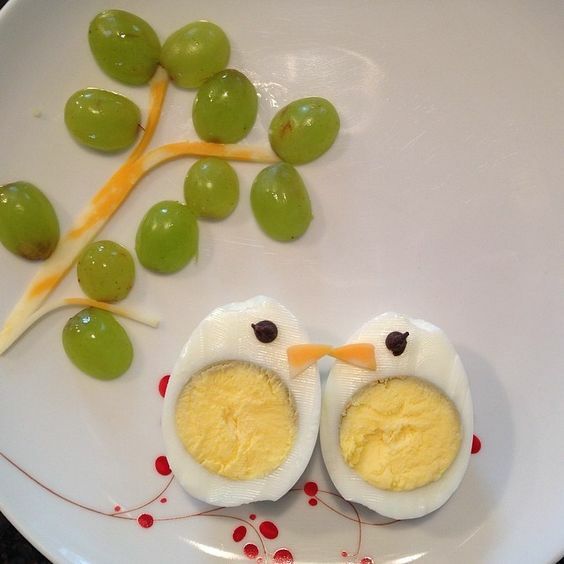 Try something fun like this with your kids on a sunday. 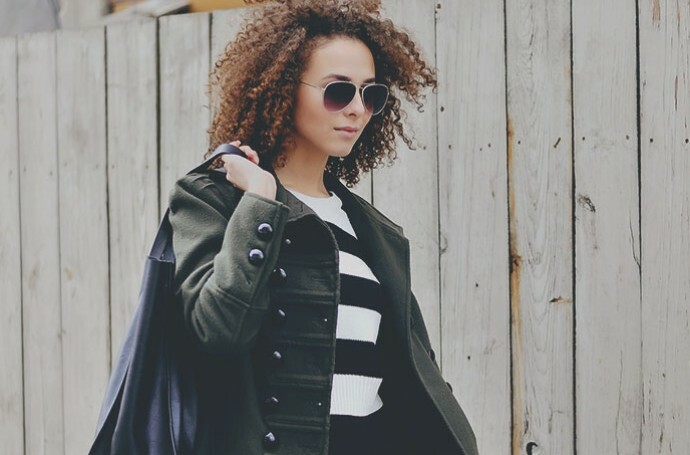 Are you inspired to try something fun for your kids?